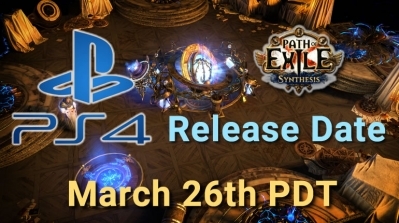 You can choose to add multiple poe ps4 currency, and you can modify the number of purchases. After confirming, click the 'shop card' in the upper right corner to proceed to the next step. You can also click on "Buy" to go to the order page. If you find the wrong item or don't want it, you can cancel it by clicking "x". The red '*' item is required. We do not intend to collect your personal information. This is just to deal with occasional cases (the psn information is incorrectly filled, the role name cannot be found, etc. ), we can contact you in time to solve you problem. We promise not to disclose your personal information, nor will it be used for other purposes. After you pay, we will contact you on ps4 for the first time, please keep your psn online. We will send you a psn friend request through the psn id you left, and then complete the trade in the game. So please be patient with our psn contact, which usually takes 1-5 minutes. Have questions about the order? 1. You can contact our customer service through LiveChat on our website lower right corner. The Scion aligned with all three core attributes - strength, dexterity and intelligence. 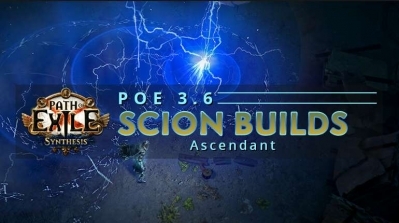 R4PG lists some PoE 3.6 Scion Ascendant powerful fast builds that can endgame. 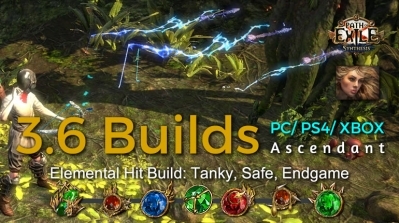 For old players, if you haven't tried these builds before, there is no harm in trying it. Essence Drain (often referred to as ED) is a spell that fires a chaos projectile that applies a damage over time debuff when it hits the enemy. The spell also regenerates a portion of the debuff damage as life. 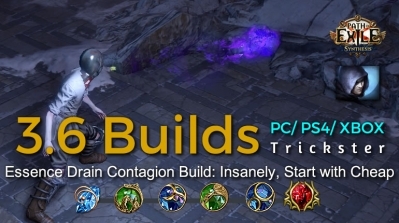 If target dies while afflicted with both Contagion and Essence Drain, the remaining duration of both degeneration effects will be spread to nearby enemies. 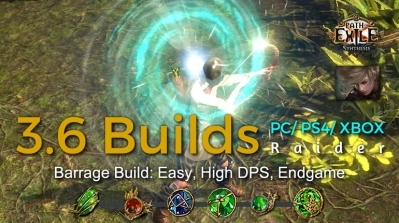 Barrage is a ranged attack skill that fires your bow or wand repeatedly. 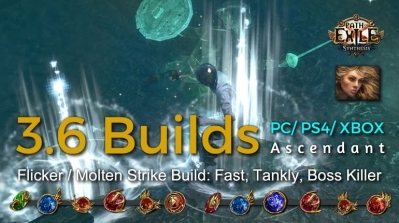 This build has great map clear with TS and huge barrage dps - amazing at killing bosses. You can kill all the content in PoE very, very fast without spending a lot. Flicker Strike is an attack that teleports the character to a nearby enemy and strikes it with his weapon. If no specific monster is chosen, one is picked at random. The skill has a cooldown that can be bypassed by expending a Frenzy Charge.